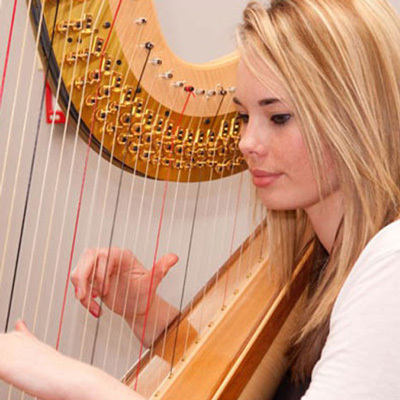 If a pupil joins us already having studied the harp, the School can arrange for them to continue lessons with our own teacher as a supporting study, receiving one lesson per week. Such students frequently perform in chamber groups with other pupils from the School. Thea Butterworth is currently studying a joint principal degree in harp and double bass at the Royal College of Music in London. She previously studied at The Yehudi Menuhin School. She has performed with the RCM Harp Ensemble and masterclasses with Marissa Robles, Catrin Michele and has regular faculty classes with visiting professors. She also plays in a harp duo. As a bass player, she has worked under conductors including Vladimir Jurowski, John Wilson and Vladimir Ashkenazy and performed with players from the Chamber Orchestra of Europe.